Midlands State University recently held a memorial service to remember three members of staff who passed on in separate circumstances in the past fortnight. The Vice Chancellor, Professor N.M Bhebe presided over the ceremony that was held in the Multi Purpose Hall. Ms. Netsai Ncube who was a lecturer in the Department of Horticulture, Mr. Arnold Kapenzi who was the Executive Dean in the Faculty of Natural Resources Management and Agriculture and Mr. Katazo Cecil Mbetu who was founding Dean of the Faculty of Commerce and a lecturer in the Department of Accounting all passed on in separate circumstances recently. In a moving tribute, the University Chaplain, Reverend Dr. M Mpofu implored the grieving University community to draw strength and comfort in God in such difficult situations. Addressing the gathering, the Vice Chancellor, Professor Bhebe paid tribute to the late members of staff noting that the University was poorer for their loss. 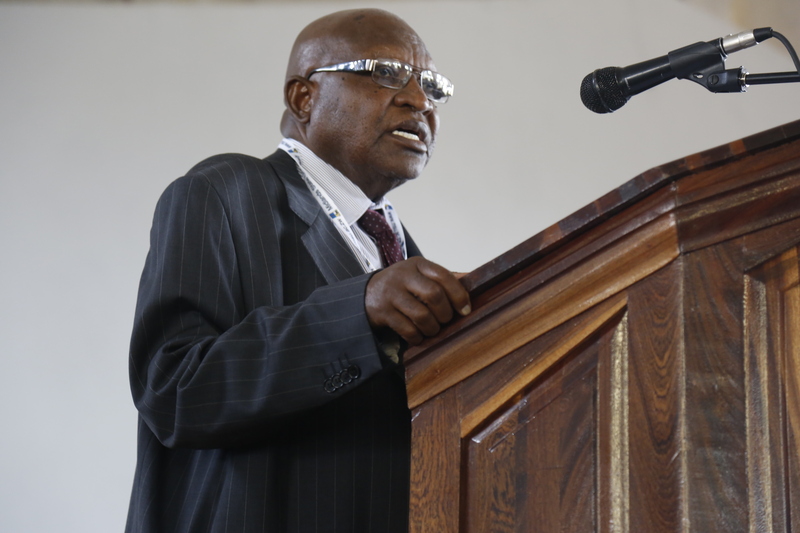 Professor Bhebe also gave eulogies of the deceased, highlighting how the members of staff had proved to be vital cogs in establishing Midlands State University as a brand of repute. The Vice Chancellor emphasized that the departed colleagues had left a lasing legacy and indicated some critical contributions the members had made towards the development of the institution, which contributions would remain etched in the institution’s memory. Senior members of the University Administration, staff and students attended the memorial service.